Cory Gardner is a U.S. Senator for Colorado. Previously, Gardner was a Congressional Representative for Colorado’s 4th District from 2011 until 2015. He supported the reauthorization of the Land and Water Conservation Fund, and opposed federal land transfers. Gardner voted against the Methane Rule. U.S. 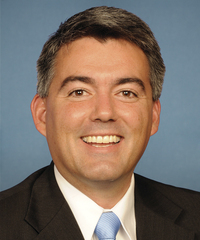 Senator Cory Gardner Supported Reauthorizing the Land and Water Conservation Fund (LCWF). U.S. Senator Cory Gardner Opposed the Methane Rule. U.S. Senator Cory Gardner Tweeted That He Would Protect Protect Lands.